CPR C is focused on adult, child and infant resuscitation. All successful candidates will be issued Canadian Red Cross CPR certificates. 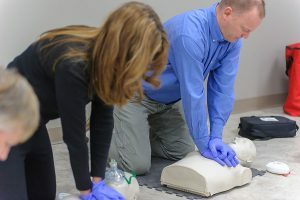 All levels of CPR courses have recertification courses available and come with AED (Automated External Defibrillator) certification. If you have a current CPR C certificate, your course length is shorter.